Have you ever wish to have all device information in a single dashboard ? This report is a visual disposition of the built-in Resource Explorer and even more. We developed this dashboard to work with all our existing reports. Each click brings the user to the associated report automatically. 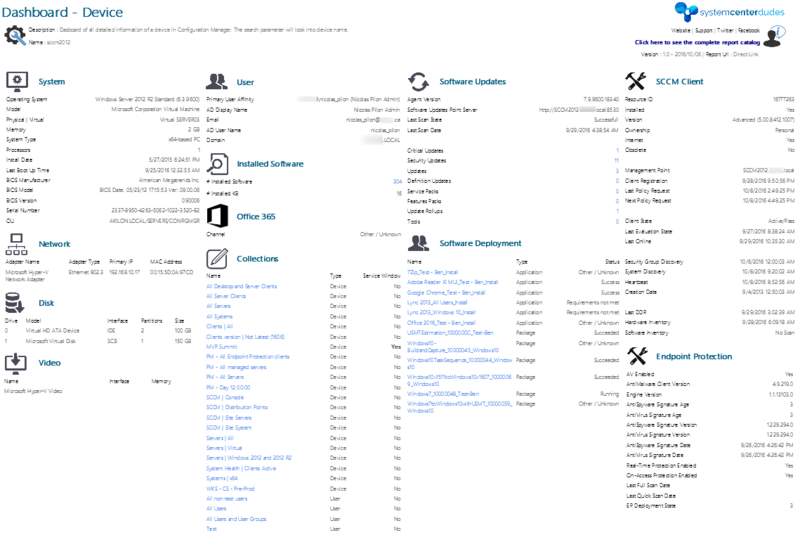 Refer to the screenshot section for complete SCCM Device dashboard report features.